Winterizing Tips - Southern California | Christian & Co. Highs in the 70’s and lows in the 50’s, that’s one reason we live here. Unless you leave your boat at a high elevation, you don’t need to worry about the engine block, gear case or exhaust manifold cracking. 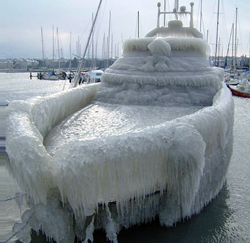 You don’t have to bother with filling the fresh water system with anti-freeze and you don’t have to haul the boat for the winter. So there are a lot of things you don’t need to do but what should you do? Prepare for the rain. Winter is our rainy season and whether your boat is stored in the water or on a trailer, a little preparation will minimize resulting damage. Boats on trailers or tenders on chocks should be stored bow up with the drain plug out. The bilge should be clear of debris that can plug the drain hole. Every spring we handle a few insurance claims due to “trailer submersions”. Covers should be inspected and serviced. They should be installed to prevent puddling, secure to prevent being blown loose and they should cover all the parts you don’t want exposed to the sun. The rain is an easy way for you to find leaks, or at least to become aware they exist. Take the opportunity to maintain and rebed the deck hardware, service hatches, windows and port lights. Ventilate, by coming down and opening the boat up during the beautiful days and/or installing ventilation devices. Someone will come to their boat in the spring and be enlightened as to how fast mold (fungi) can grow. It won’t grow without significant moisture, which is the only factor you control. While you are visiting the boat spend a few minutes operating the systems, run the engine, engage the transmission, flush the head, cycle pumps and motors and maybe go for a ride, you’re paying the So Cal lifestyle “tax”, you should enjoy it! If your boat or tender has an outboard and you won’t use it for five months, run the gasoline out of the carburetor and fuel lines, consider stabilizing fuel and follow the manufacturer’s suggestions. Take measures to inhibit corrosion over the winter as appropriate. Service through hull valves, shut the valves that will not be used and make sure cockpit and deck drain valves are open. Check and service bilge pumps and their automatic switches, batteries and charging systems. Thieves are aware you don’t come to your boat much. Make your boat less attractive to them, lock the doors and hide the key somewhere different or unique, not in the cockpit locker where all your neighbors hide their key. Conceal the pricey electronics and buy that live-aboard neighbor a bottle of her favorite wine to get a little more attention paid to your boat while you are away. The winter is a good time to get some work done. The boatyards and trades are slower now than they will be in March. 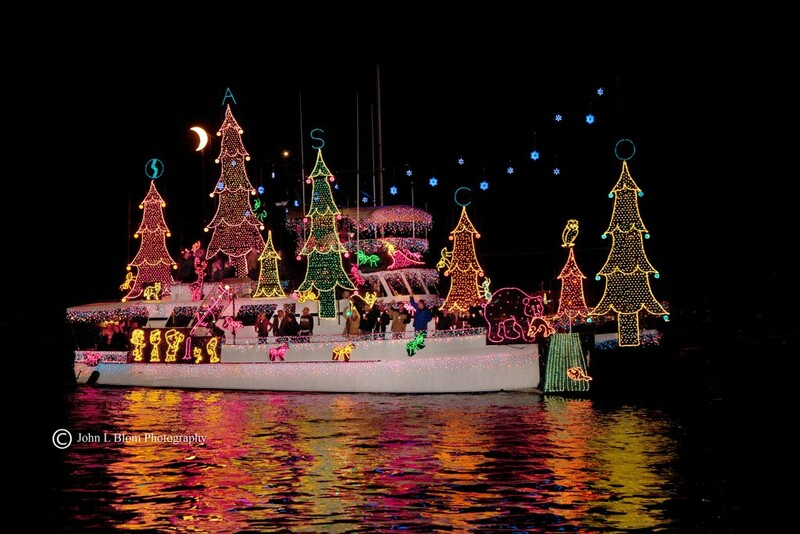 Many boatyards have specials during the holiday season for extended laydays and do-it-yourself projects. Take advantage of your time and energy you are devoting to “winterizing”, by making your own custom check list. Do a little internet research, remember that lesson you learned, write it down and edit the list when you get more ideas, it will be a good read next winter. Remember the San Diego Sunroad Boatshow is coming on January 23 – 26, 2014, see you there.